30-Day Money Back Refund or Replacement If you are not completely satisfied with the performance of your laser or measuring tool product, for any reason, you can return it to your Bosch dealer within 30 days of the date of purchase for a full refund or replacement. To obtain this 30-Day Refund or Replacement, your return must be accompanied by the original receipt for purchase of the laser or measuring tool product. A maximum of 2 returns per customer will be permitted. First Year – OTC Warranty Bosch will replace your laser or measuring tool product that has failed when used in conformance with product instructions and warnings at no charge, with a new laser or measuring tool product of comparable features any time during the first year after purchase. This warranty does not apply if your laser or measuring tool product fails solely due to the need for recalibration. 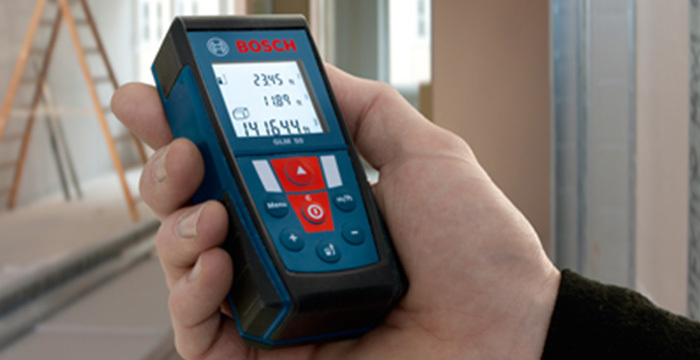 2- and 3-Year Exchange Bosch will replace your laser or measuring tool product that has failed when used in conformance with product instructions and warnings, with a new or reconditioned laser or measuring tool product of comparable features, for an exchange cost. This warranty does not apply if your laser or measuring tool product fails solely due to the need for recalibration. ONE YEAR SERVICE PROTECTION PLAN Within one year of date of purchase, we will perform free of charge electrical, safety and performance checks, lubrication and replacement of parts worn under normal use. Performed at factory service centers only, transportation and freight are the responsibility of the customer.